Thank you Terminix for your promptness and professionalism. I am happy with Terminix's service. They came back when we found more ants. The tech told me to call again if I found more ants. Which I will do. Ants have been a real problem in our area. The agent who came out to the house initially was excellent in explaining options and pricing and I believe we received the package appropriate for our situation. The exterminator who installed the termite system, sprayed for pests, and set out the rodent box also did a good job. So far they have done what they said,promptly and with a great attitude. Just got setup with termite bait traps around the perimeter of the house. Everything looks good. I am happy with results. Your inspector was most polite, prompt and thorough. He answered all my questions and provided excellent answers to all my questions. He gave me suggestions regarding keeping the soil away from the base of my stucco. I would highly recommend this gentleman and would love to have a worker just like him to assist my husband and me with our business. May God bless this young man as he is honest and hardworking. He is definitely an asset to your company. Technician is always polite and professional. No problem and ease of my mind in case I should ever have one. I feel that I should probably repeat the service go tics and mosquitoes because it rained after the treatment and they are really bad this year could I get a second treatment. Thank you Miss Chaney. The representative who services my house is capable, professional, and courteous. I stay with Terminex because of his excellent service. Most exterminating services are the same. The differentiating factor is customer service. I hope your company rewards those who keep your customers loyal. service as stated-- so far so good. Just started my Terminex service; met our service technician a couple of days ago; he (Jonathon) introduced himself and stated he was available for any questions/concerns. This should work. The gentleman that performs the service at my house is friendly, knowledgeable and always on time. He does a great through job. Marcus does a wonderful job and has nice manners. He’s a super plus for your company. Doing good job keeping bugs at bay! Very happy with the termite service and customer service. Brad has been very helpful with other products offered by Terminix. I am very happy with your service. I appreciate that when you say you will be at my house you are. Others would only give my a time span. 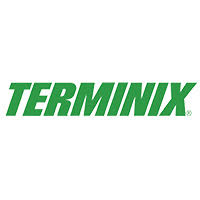 I have been with Terminix for 40 yrs(in Va Beach). Maryann Smith. This is the second treatment. So far no issues. our service person is very friendly and knowledgeable. We let him know if we have any problems, and he takes care of it.